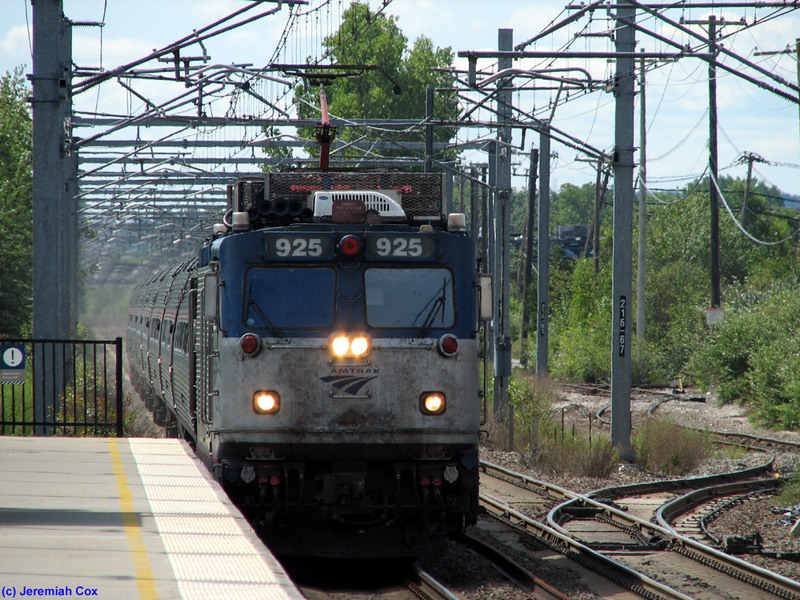 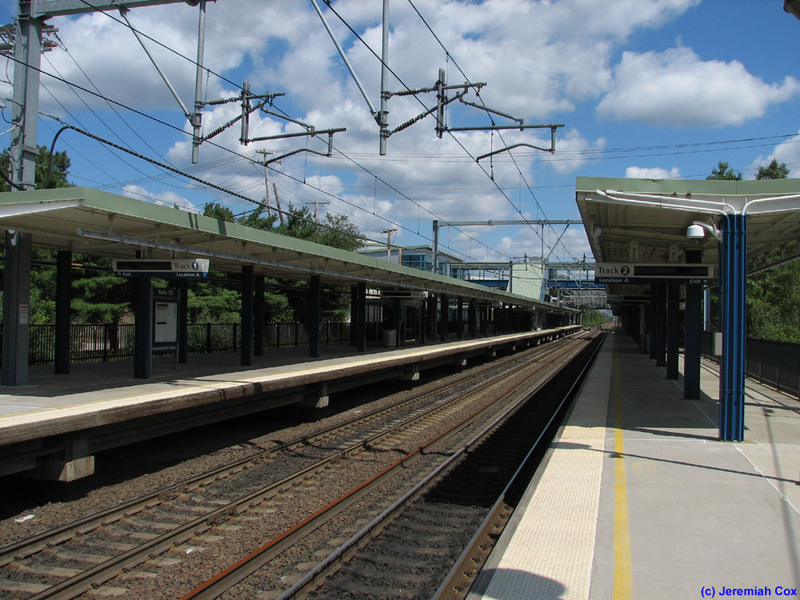 The Route 128, MA is the Amtrak station for suburban Boston located as the name says on its inner-crescent loop road (not a full one, the Atlantic Ocean gets in the way). 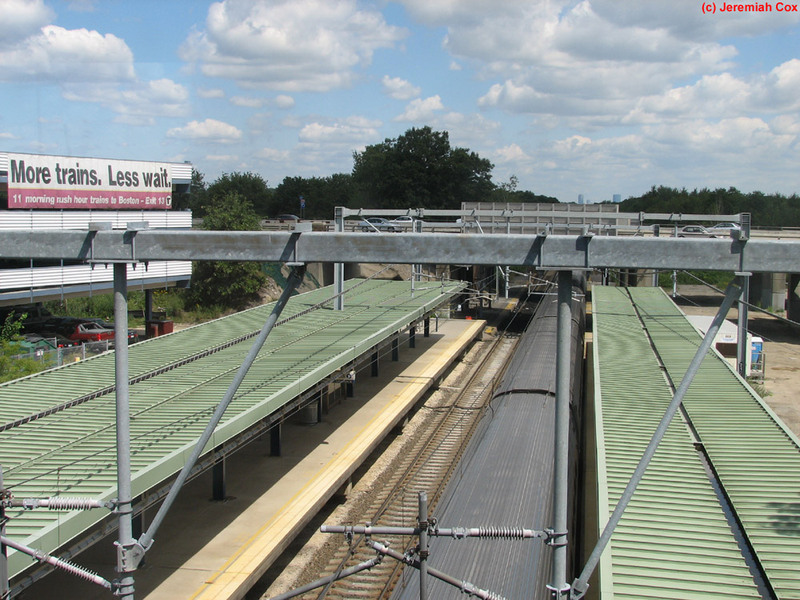 The stop has two high level canopied platforms, and an equal amount of Amtrak colored and Commuter Rail colored signage that is a bit unusual looking. 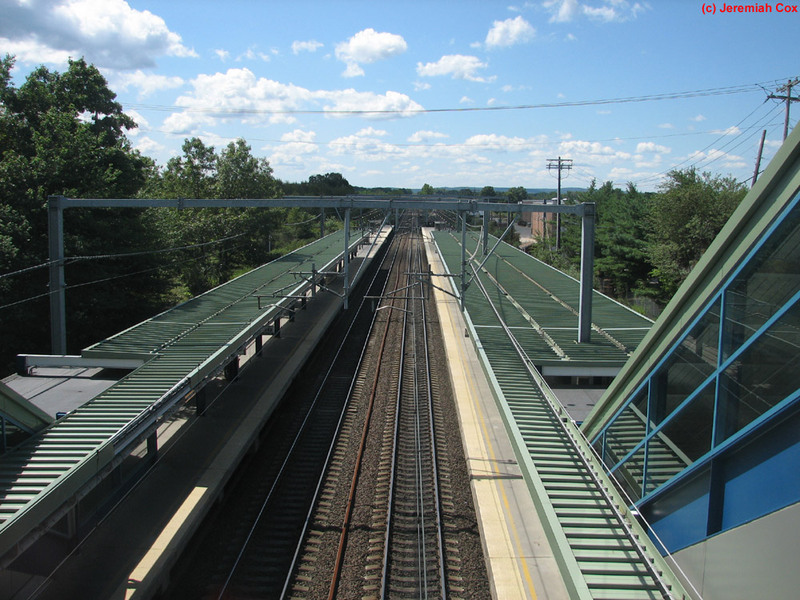 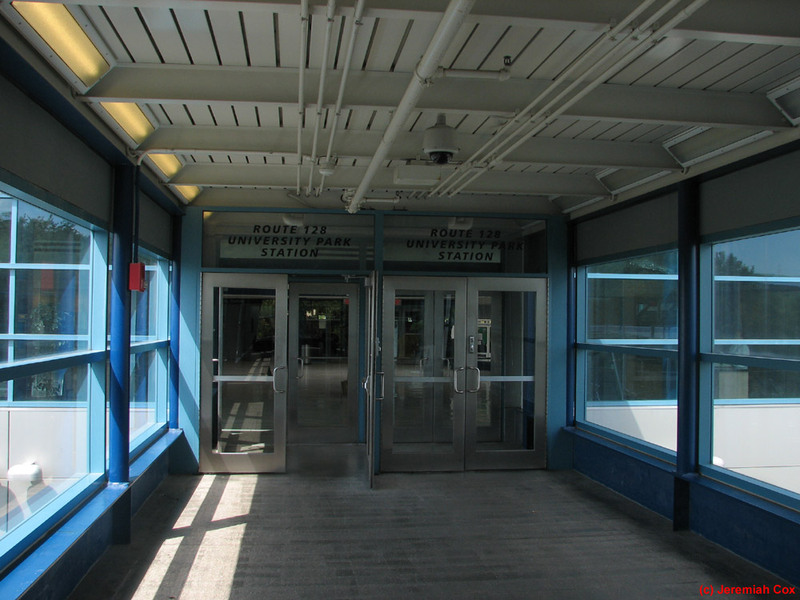 It has a huge parking garage and every Amtrak train to Boston stops at the station, it is that popular. 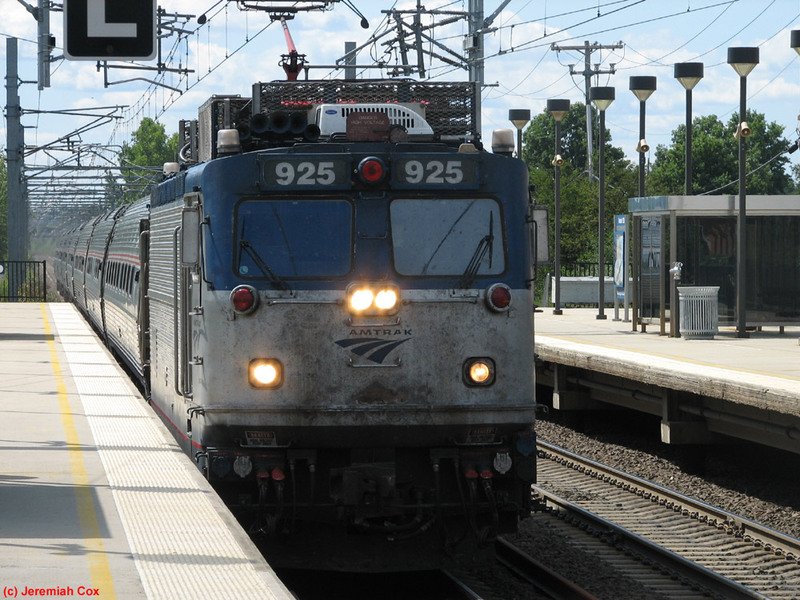 The secondary name is not used by Amtrak but Amtrak also calls the station Westwood, MA. 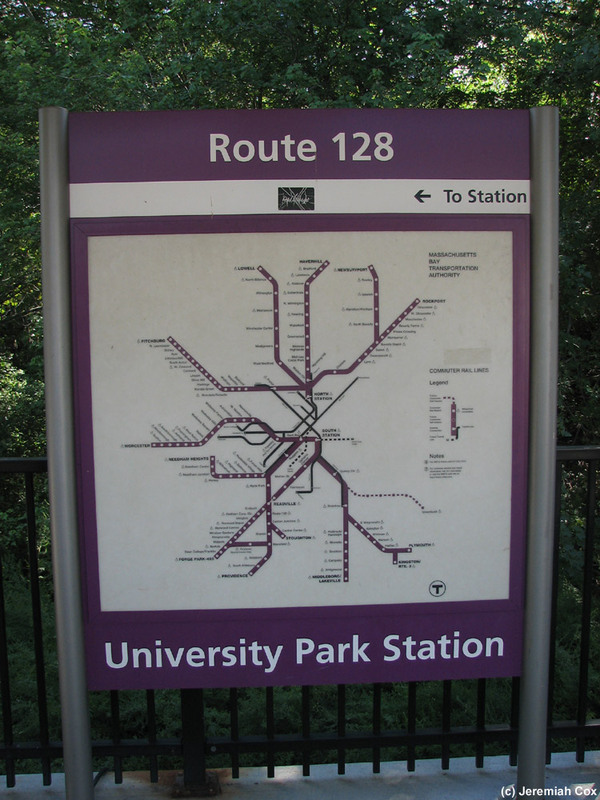 Most users just say 'Route 128' and nothing else.